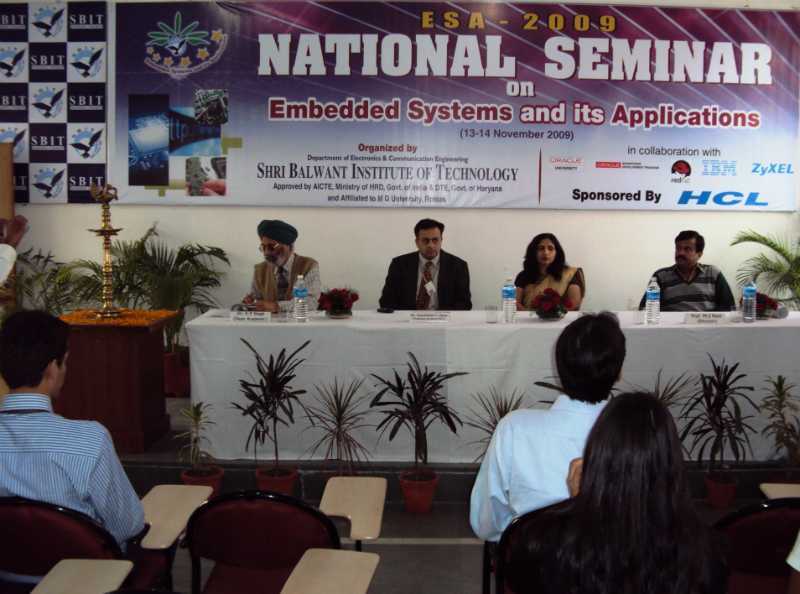 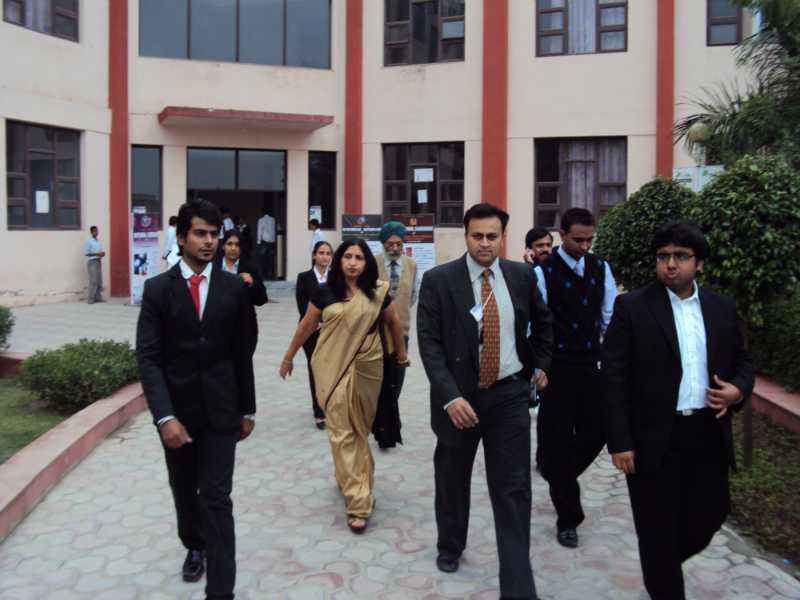 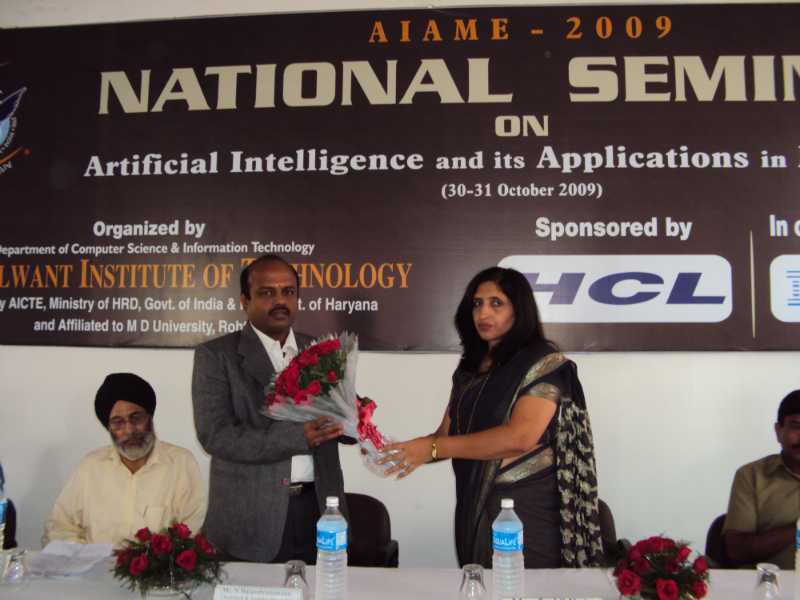 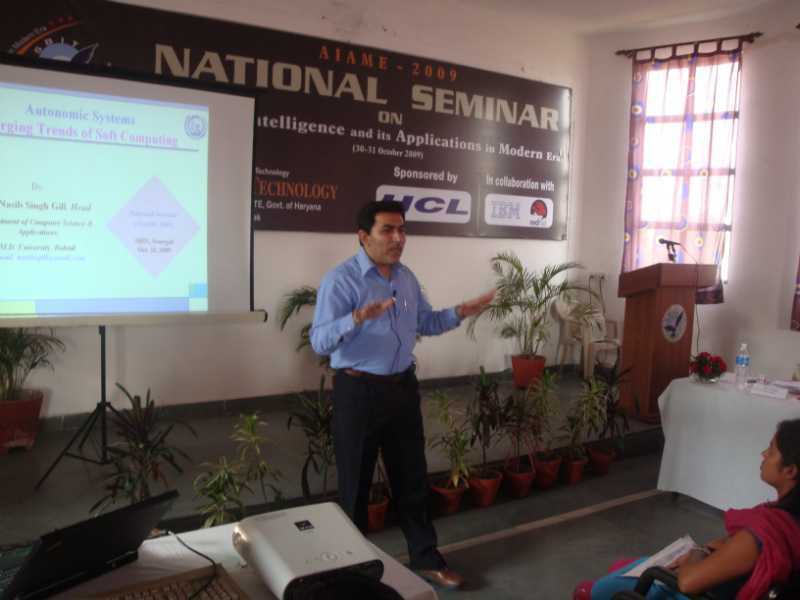 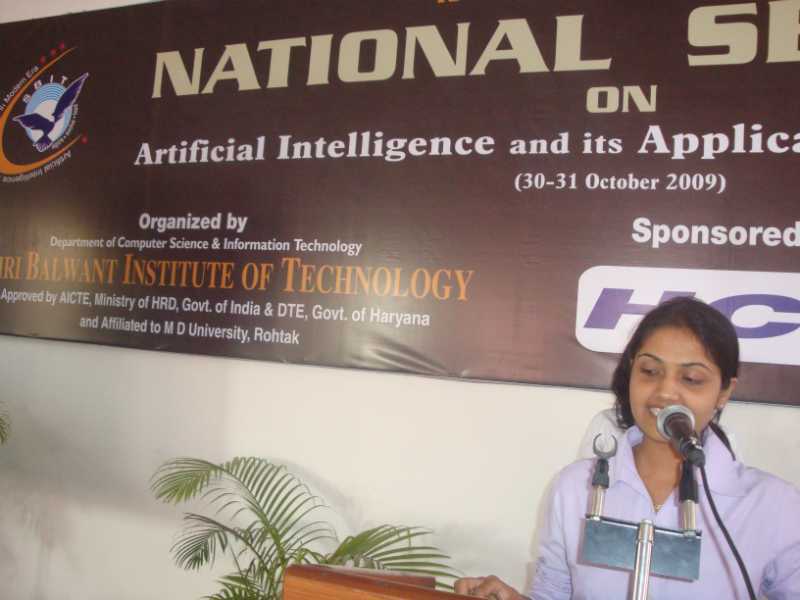 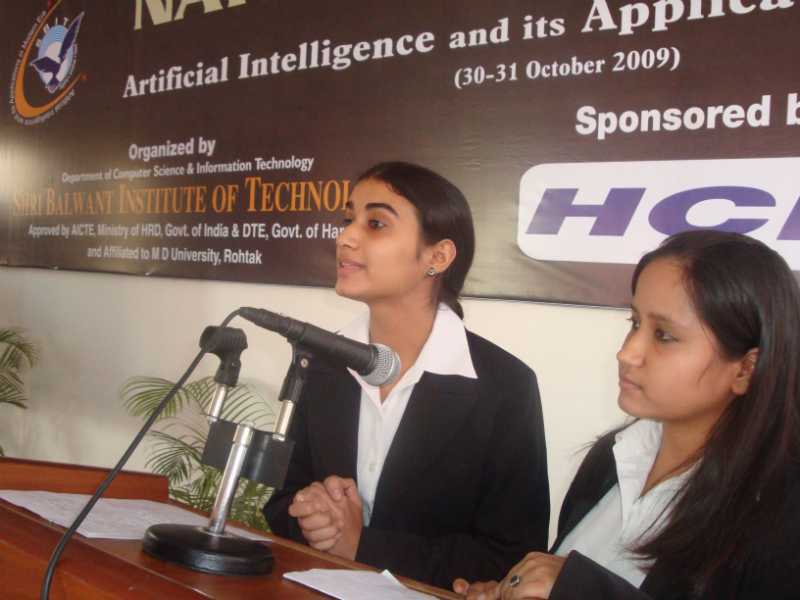 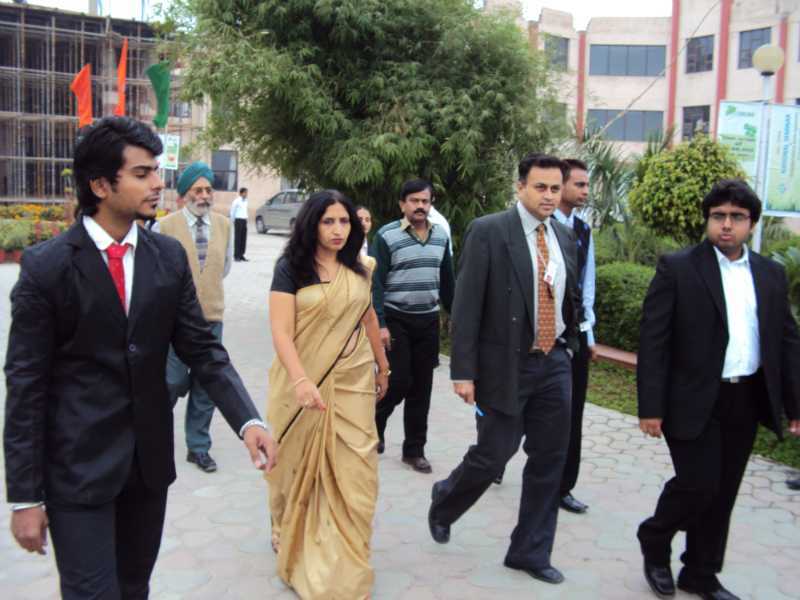 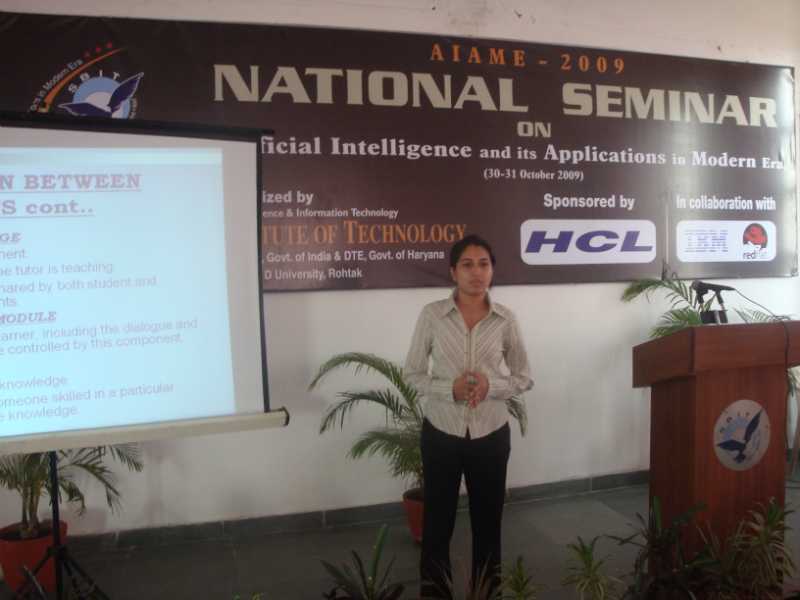 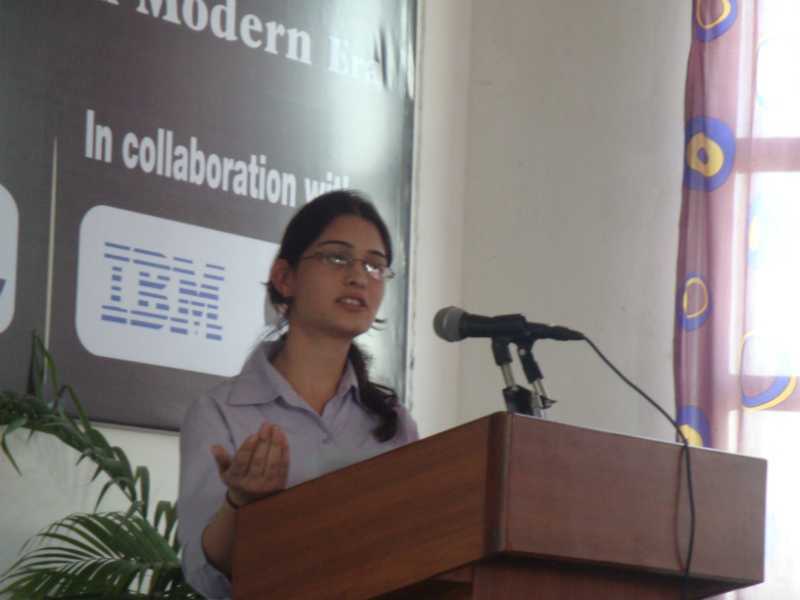 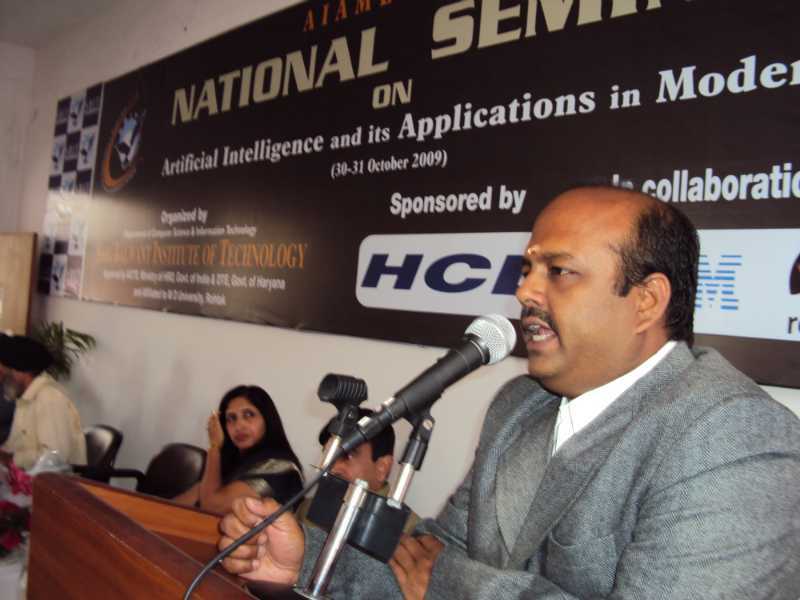 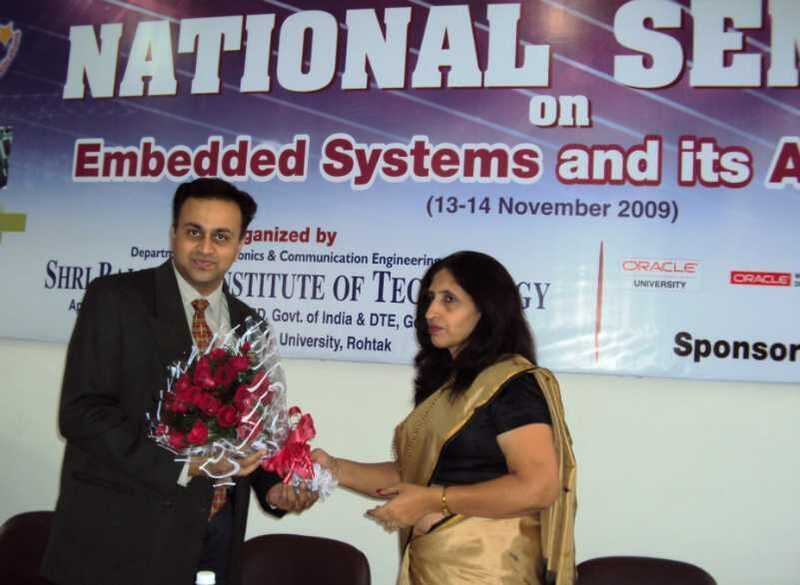 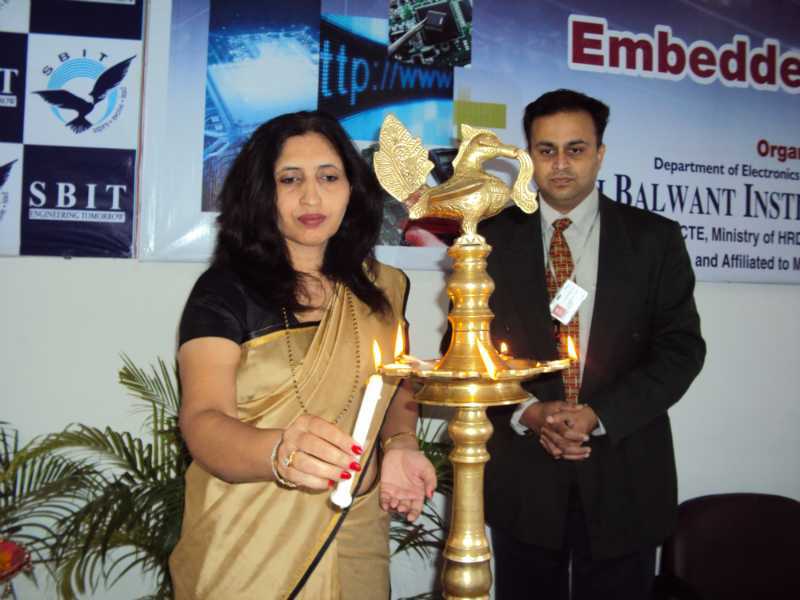 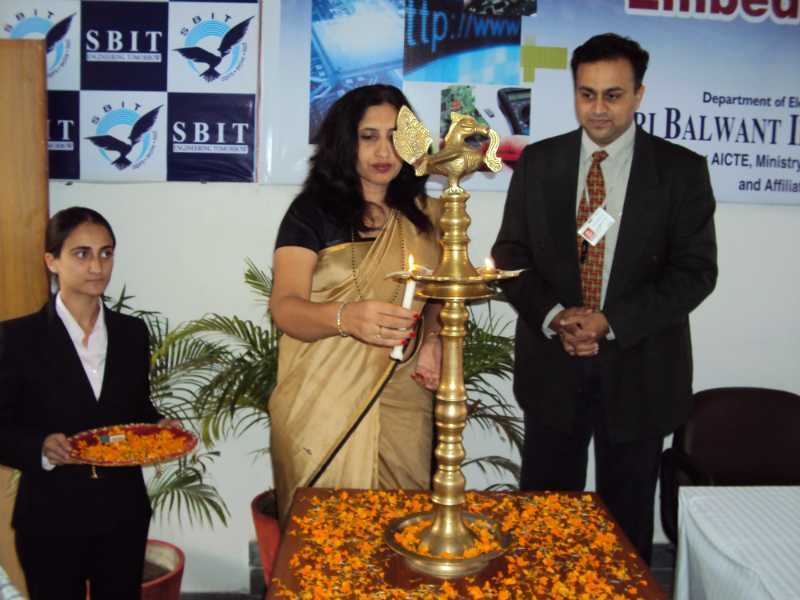 National Seminar on Artificial Intelligence and its Applications in Modern Era was held at SBIT Campus on 30-31 October 2009. 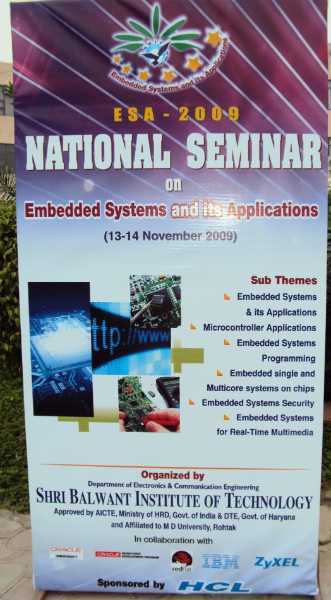 During the 2 day seminar there were various technical papers presented by the students and faculty from SBIT and various engineering Institutes. 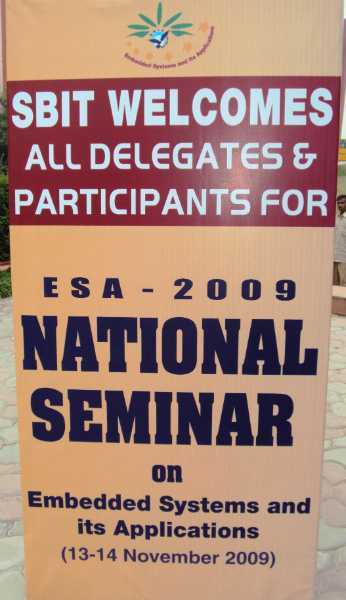 Seminar was inaugurated on 30 October 2009 by Mr. Dharmaraj Ramasubramanian. 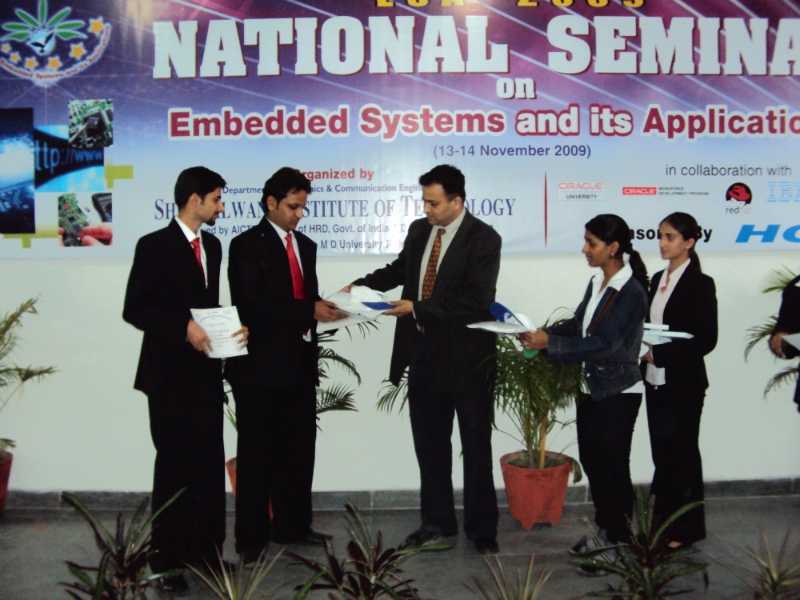 On this day papers were presented by students from SBIT and various other Institutes. 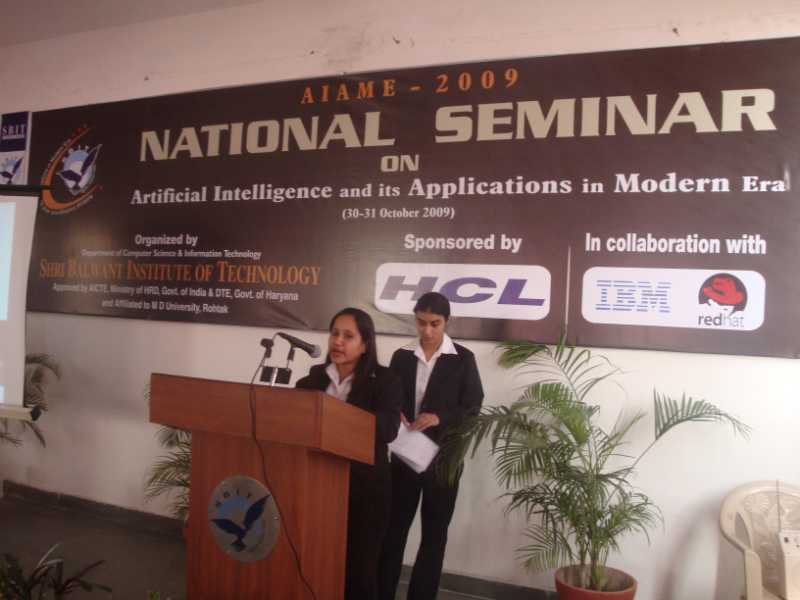 Topics ranged from Neural Networks, Robotics, Speech Processing to Driverless cars. 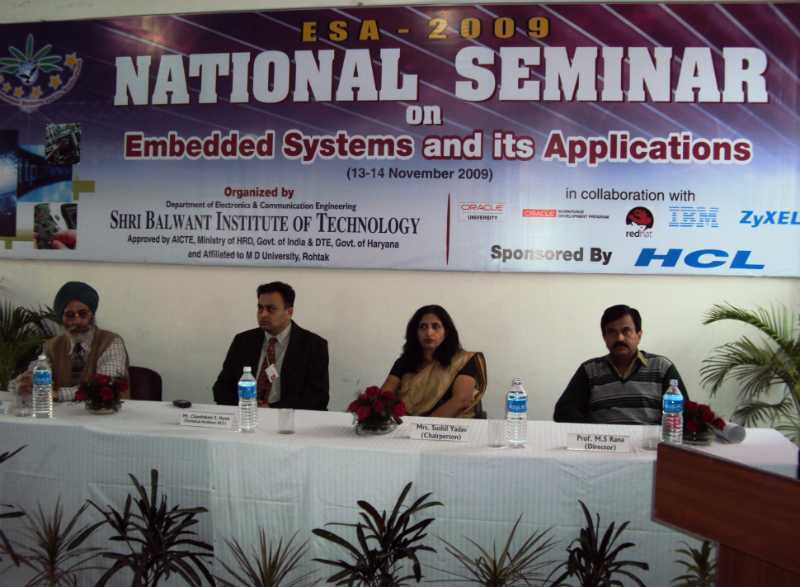 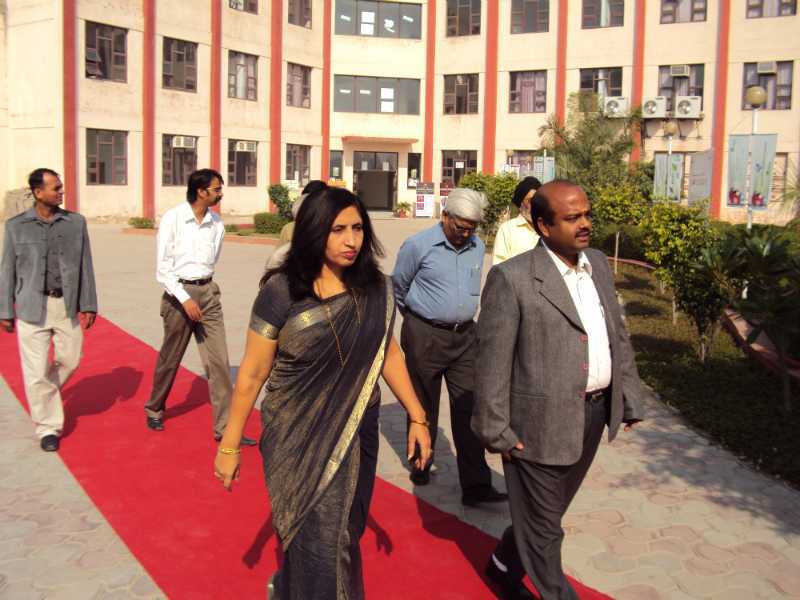 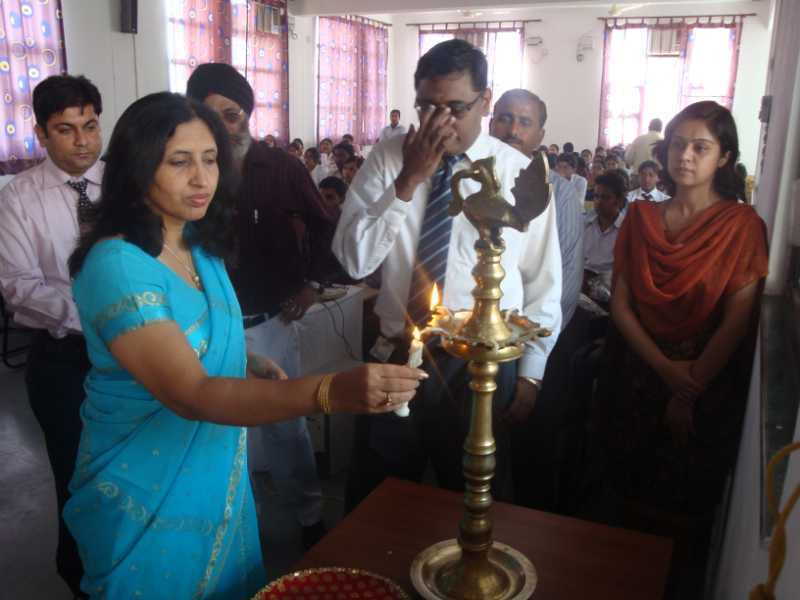 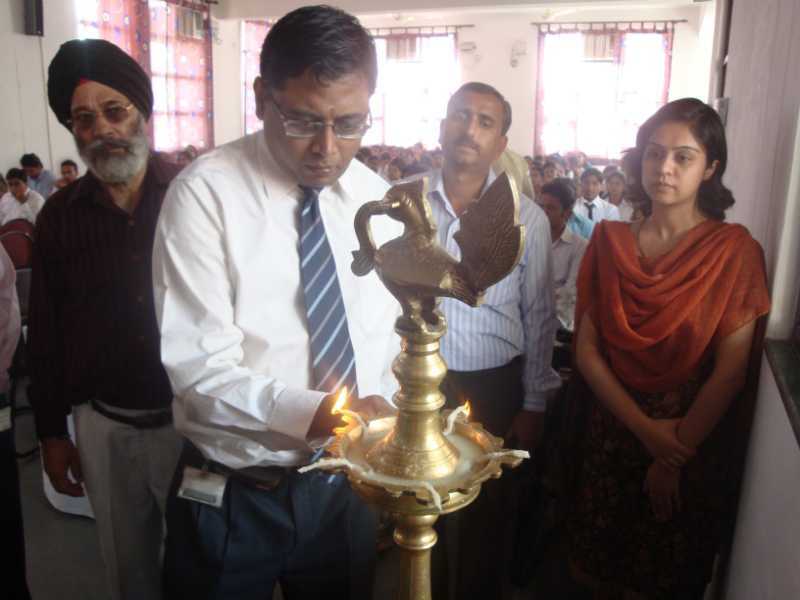 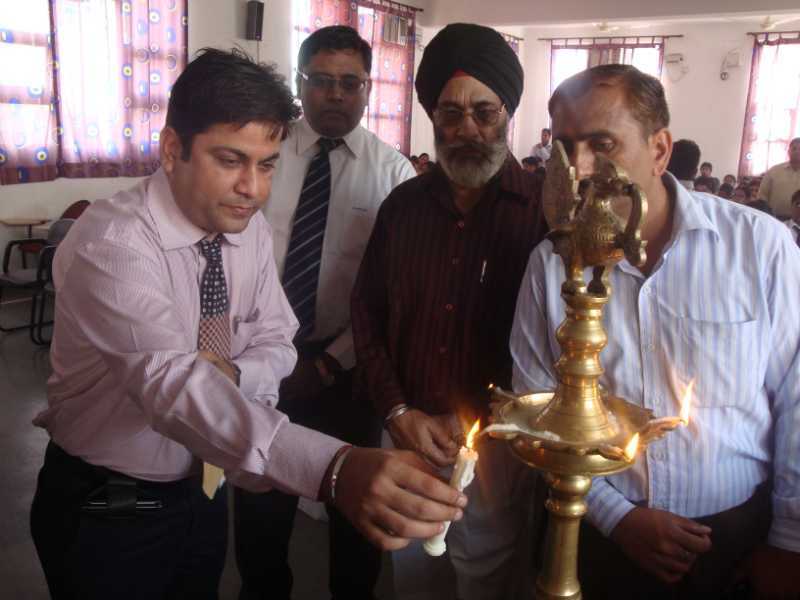 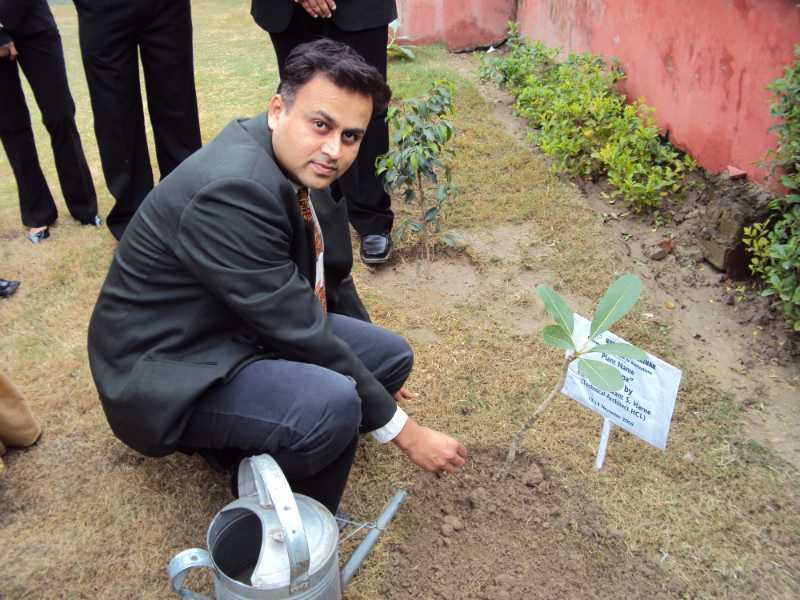 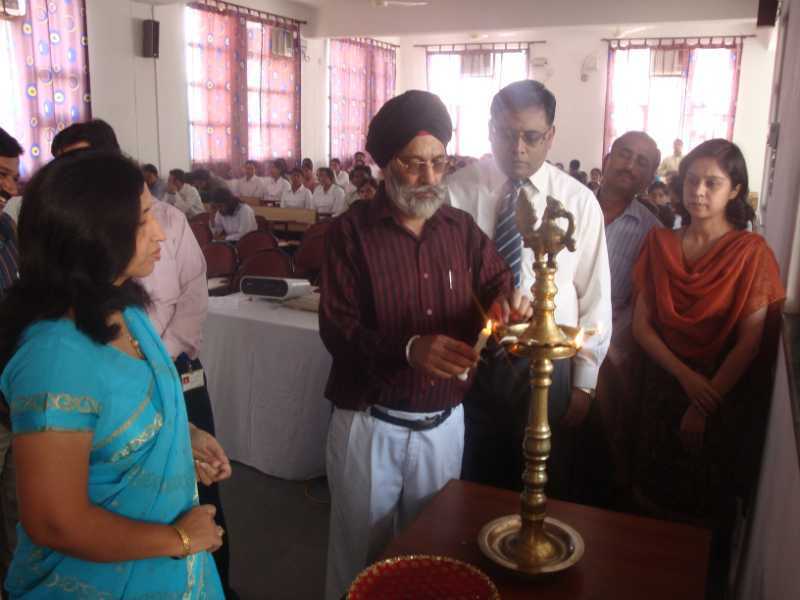 On 31 October 2009 Seminar was Inaugurated by Chief Guest Mr. N Balasubramanian, Technical & Architect Specialist, HCL. 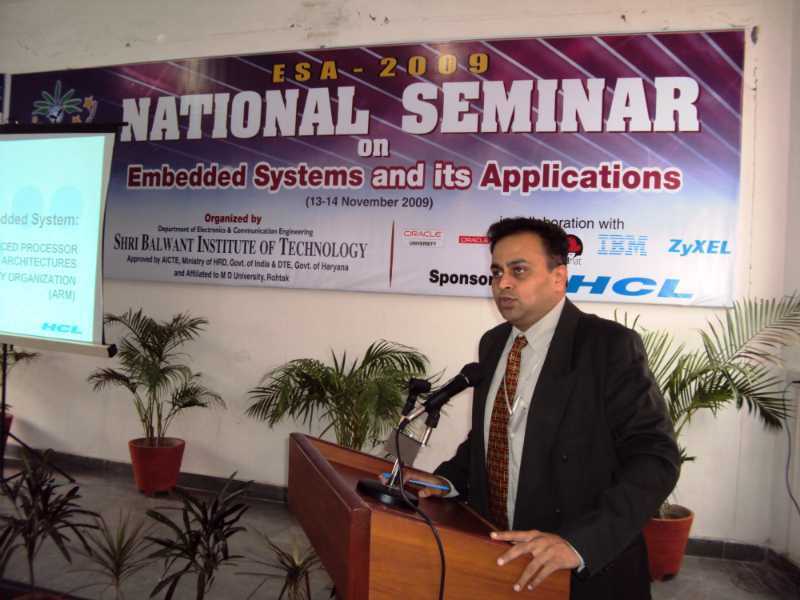 He has a total experience of 23 years in various research positions. 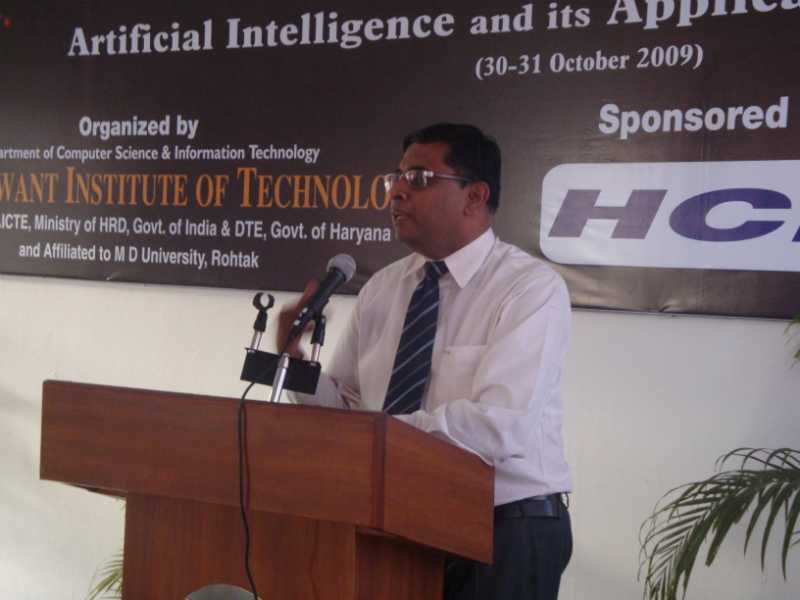 He emphasized the importance of student research in such advanced topics like AI. 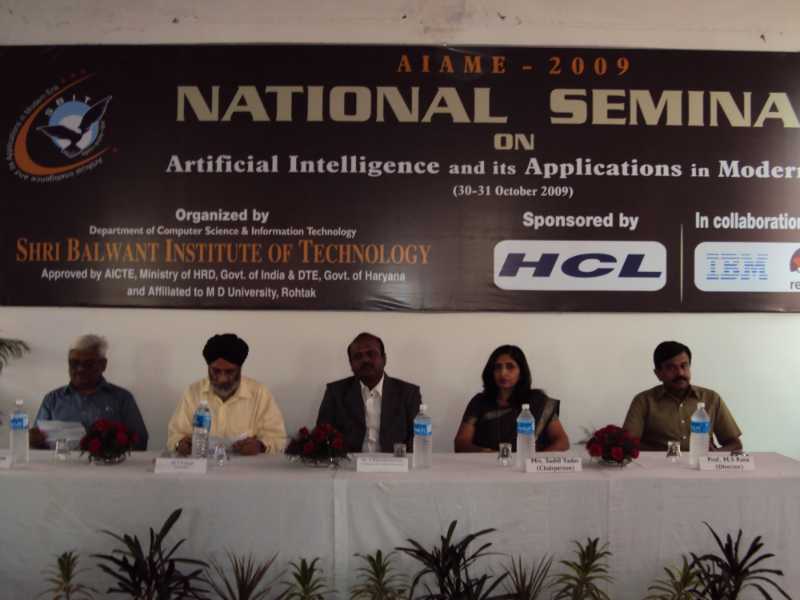 There were various keynote address, invited talks from distinguished persons from DRDO, corporate and MDU. 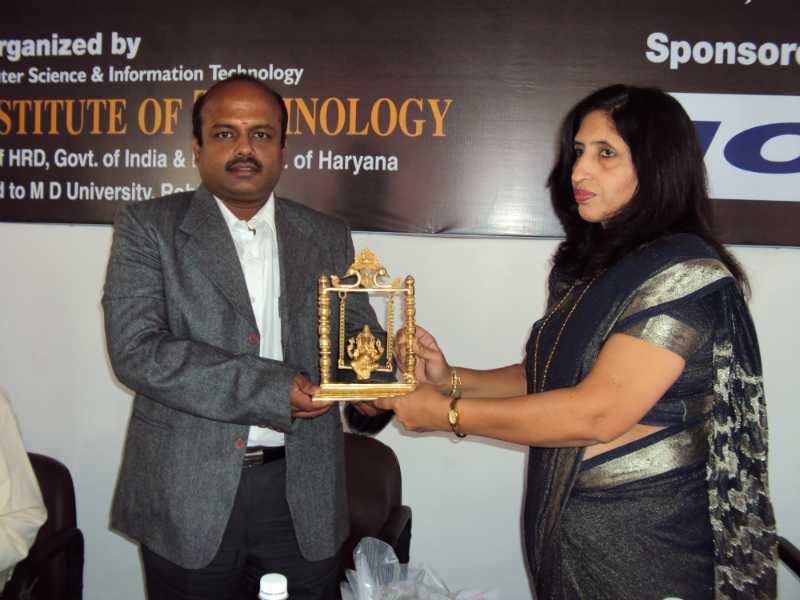 In various technical sessions paper presentation was held by faculties from SBIT and other engineering colleges.